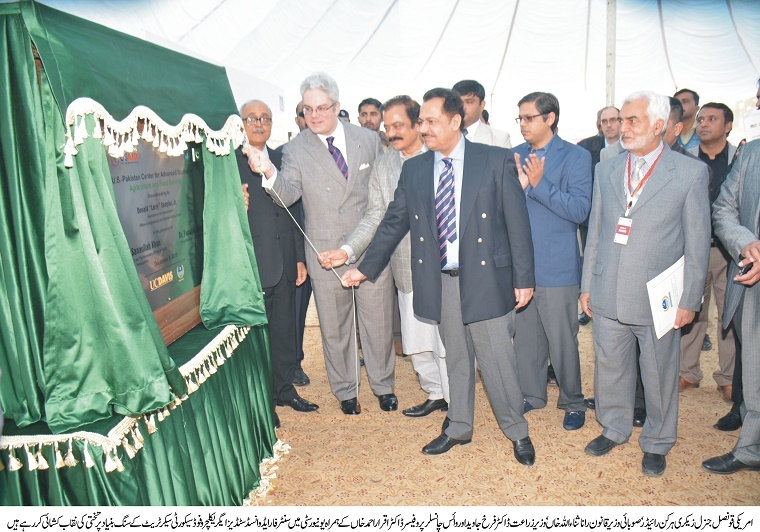 U.S. Consul General Zachary Harkenrider and Punjab Ministers for Agriculture and Law Dr. Farrukh Javed and Rana Sanaullah Khan participated in a groundbreaking ceremony for the $30 million U.S.-Pakistan Center for Advanced Studies in Agriculture and Food Security at the University of Agriculture, Faisalabad (UAF). UAF and the University of California, Davis will collaborate through this center to drive innovation and growth in the agriculture sector. To support this university partnership, USAID is funding the construction of state-of-the-art laboratories, a library, and other research facilities at the new center, in addition to supporting graduate student exchange programs. The Center’s research and outreach to the private sector will focus on topics such as climate change, precision agriculture, and biotechnology.